Looking for a Harry Potter DIY project that’s easy and fun for the whole family? Do-it-Yourself home projects are a fun way to entertain the kids and also to build excitement about upcoming visits to the Wizarding World of Harry Potter. You can even use a craft like this one to reveal the surprise of a Universal Orlando vacation for your family! 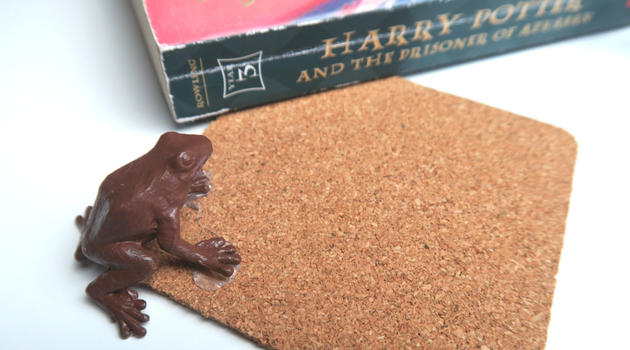 With just a few supplies, you can make your own Harry Potter DIY chocolate frog coaster! Hunter from Jones Family Travels walks you through this simple Harry Potter DIY craft project. Looking for other Harry Potter activities and recipes? Here are a few others we have shared recently. Have you tried any Harry Potter crafts or recipes at home? How did they turn out?